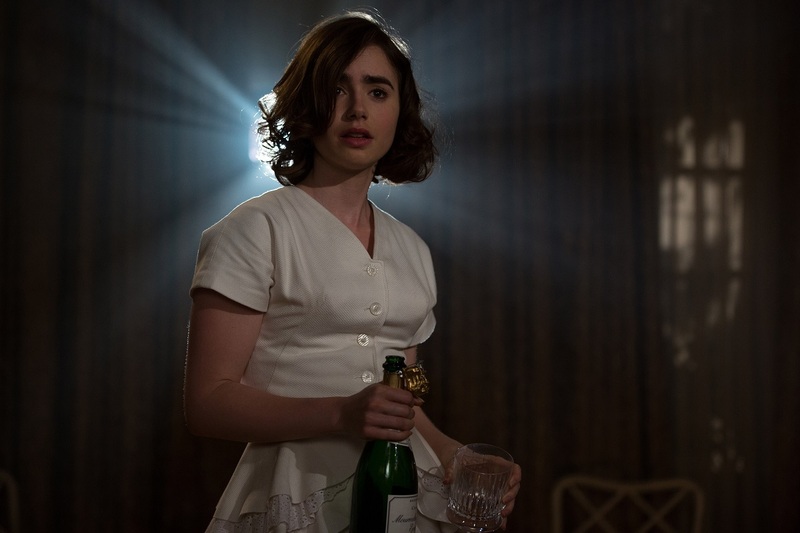 The two young stars of Warren Beatty’s “Rules Don’t Apply” may not yet have the household name status as some of the many friends that the legendary director convinced to do a cameo in his new film (Ed Harris, Oliver Platt, Steve Coogan, Alec Baldwin, many others), but that will change. 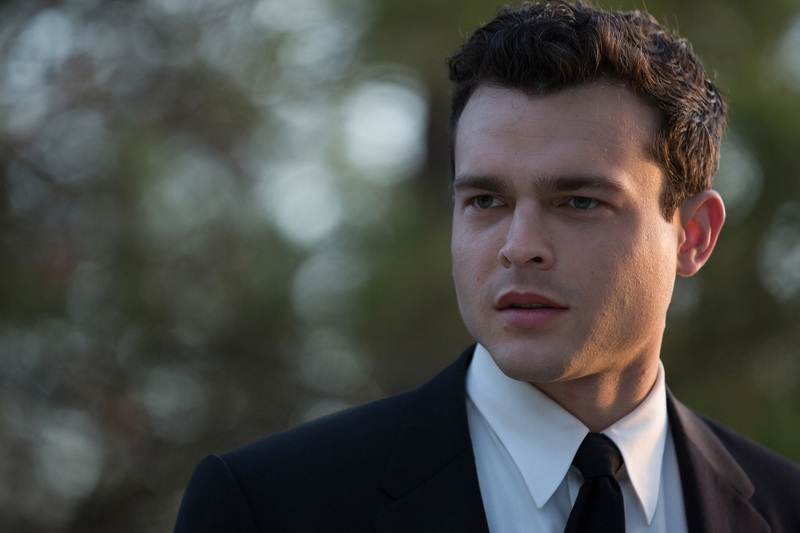 It could change when Alden Ehrenreich plays a young Han Solo in the upcoming “Star Wars” spin-off. 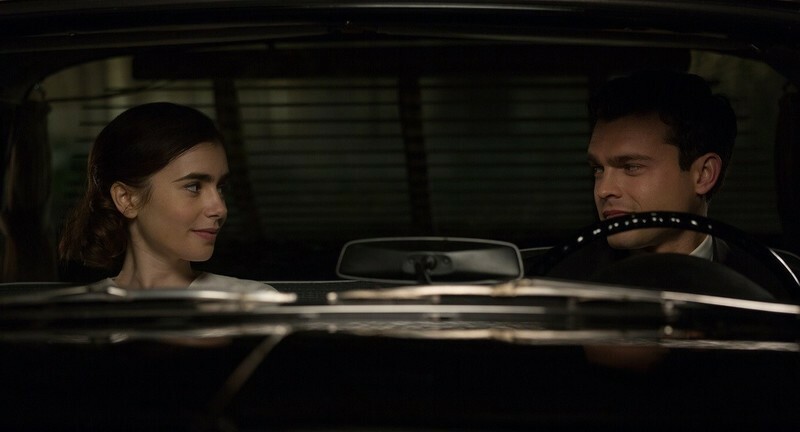 It should have changed when people saw him steal the Coen brothers' “Hail, Caesar!” For his co-star Lily Collins, there are any number of projects that could catapult this confident star to the next level. When you meet them, as I did on their recent tour for “Rules Don't Apply,” one really gets the sense that they are literally on the precipice of superstardom. They are smart, funny, and carry with them that rare, almost indefinable movie star presence that their latest director helped define. I overheard someone compare Ehrenreich to a young Leonardo DiCaprio, but the truth is that he reminds one more of classic movie stars, like those of the era in which his director became a legend. And so Ehrenreich is perfectly cast as Frank Forbes, the newest assistant to the eccentric Howard Hughes (played by Beatty himself). He’d really like to get Hughes to invest in a real estate deal, but he’s thrown a curveball when he’s asked to drive around one of Hughes’ newest contract actresses, Marla Mabrey, played by Collins. Marla isn’t your typical starlet, she doesn’t want to give into Hughes’ notoriously lascivious wants, and she’s drawn to the sweet Frank. Both stars sat down to discuss working with Beatty, their rising status and what’s next. Is there any sense of awe when you meet Warren Beatty? AE: Yeah, a lot. Definitely, yes. LC: I remember the first time I had contact with him that I was told by my agent that he wanted me to call him at home. So I called and I was kind of shaking. What do I say? Right away, there was this witty banter, and I hung up the phone and went, ‘What the heck just happened?’ I went to his house for the first time. We had meals. And even now, when I’m sitting in a Q&A and he says something nice about me, I’m like inside going ‘What?!?! What are you saying?’ I respect him so much and so many people respect him that his words are truly valued. Everyone holds on his every word. It is something of awe. There aren’t many people of his caliber that are still here. That people would drop anything to be there for. How is he different than you thought he would be? AE: Hmmm. I don’t know. I feel like it’s hard for me to remember. I met him when I was 19. I’ve known him for such a long time. I can’t really remember what my expectations were. LC: I think he’s way more of a family man than I expected. I knew he had a family but I didn’t realize he lives for his kids. His kids are the most intellectual, kind-hearted people, and that’s a testament to him and Annette. He talks about them all the time. He had them on set. I knew he was so into film and politics but not family. AE: I also think that, in a sense, in a lot of his films he’s playing like a free-love, ‘Good Time Charlie’ kind of guy. He plays a lot of characters that are having a great time and are care-free, and in life he’s a lot more diligent and obsessive. He’s much more work-driven and dedicated. He also is a lot of fun but there’s a big difference between him when you’re having a 4.5-hour dinner and having fun and when you’re actually involved in the work. It’s a very different feeling. How is he different from other people you’ve worked with? AE: I think he’s much more hands-on. He’s much more involved in every detail of the moviemaking process. He’s involved in every aspect of performance. He’s involved in every aspect of design, every line. And he will go to a lot of lengths to make sure everything is exactly the way he wants it to be. It’s great to see that someone who has the legacy of films behind him that he does is still that intent and that dedicated to his own particular vision. LC: I think also the fact that he’s an actor, first and foremost. He’s been living and breathing this. He’s lived through the scenes. He’s in the scenes with us. He looks at it differently. He knows how he would play it. And so I think that having that ability to not give you line readings but the overall tone. He sees the overall picture. It’s the whole picture. He knows exactly what he wants and how to get it. And he’s someone who can so easily pinpoint you or me or Alden as a person and know how to get what he wants. That’s interesting because someone who does that could come off dictatorial—this is the way I want it and how it’s gonna be. Last night, he spoke about collaboration more than anything else. So how does he balance those two—the vision and the collaborative aspect? LC: It’s both. There would be days when I would be confused. He would say, ‘I want you to do it exactly as I want it. I want the lines exactly as they’re written. Don’t change anything.’ And then we’d do the take and he’d say ‘Well, why are you listening to me? I’m just the writer. I don’t know what I’m talking about. Throw it away.’ And then you go back to the first version. Sometimes it got very confusing but then you roll the two together and suddenly you’re not thinking about it and something magical happens. He knew that by doing that it would confuse us to some sort of brilliance, hopefully. I think he also was testing himself. Maybe he hadn’t written it the way he intended and something else would make it better. And he’s not afraid to have creative collaboration because it might make him better. He likes having conversations with three or more people because then creative arguments can happen and he can better himself. He doesn’t want to be right all the time. He likes to be challenged. But he’s got a very clear vision. Those are two things that are often hard to reconcile. How much research do you put the into time period? Or do you leave a lot of that up to Warren and the others? LC: Both. I think I left a lot of it up to Warren because the subject matter was stuff he had been around for and was so specific on that I didn’t want to do research that was wrong. That would be counter-productive. But I also felt like I had been studying this period my whole life. My mom brought me up on old Hollywood. I had been living in Los Angeles. Respecting old movies and growing up with people that were icons that I got to speak to. It wasn’t a research-heavy film. I feel like being on set all day with people of this caliber in different departments … and then knowing Warren knew what he wanted anyway. Did you have that old Hollywood background too? AE: My parents weren’t involved in show business but my parents would show me. We’d watch old films in the house. Little film festivals of Westerns and stuff like that when I was a kid. I knew I wanted to be those guys in those movies before I knew what being an actor was. That’s where my desire to do this came from. This kind of film and working with Warren I always felt was the closest I would have to making an old studio film. That’s what kept me hooked into it for five years—trying to get into it and see if he would cast me. I talk to people all the time about how things are increasingly MCU or Joe Swanberg. You don’t see in-between films like this anymore. AE: Right. There is something to making this kind of movie and having the ability to get high-level people in every single department, and that’s not often the case with dramas or love stories because they don’t throw money at them anymore. Warren is one of the few people who could get this movie made. AE: Exactly. And with who he wanted to cast, which is an important distinction too. I think Warren could have made it very quickly with whoever’s number was up at that time, and mine certainly wasn’t when he cast me in the film. A young actor once told me that every movie was a learning experience. So what did we learn this time? LC: I need to let go more. And I have since this movie. A lot. Warren would say I would come in very prepared, but sometimes to a point where I felt I had to be perfect every time and it’s in the imperfections that magic happens. You’ve got to be in the moment. When you surprise yourself and you can’t remember what the take felt like, then something transformative has happened. He would remind me to let go, let go, let go. At first, I didn’t understand, but I started to apply it and apply it to my life. And now it’s something that I live by all the time. It just reminds me of living in the moment more and not know what’s going to happen next. It’s OK not know. That’s not even the film. LC: No, no, for life. How about you? How did we change as an actor? Like about craft or …? AE: Everything. About his experiences. About casting is writing is plot. I remember him saying that in our first meeting seven years ago. About various actors. I can’t answer it so well, but the big takeaway is Warren himself—the choices he’s made over the course of his career because I know them so well. I know him so well that getting to look at his entire life as an actor and then a director and a figure in Hollywood for so long—the choices he’s made are a guiding track in my mind now when I look at the decisions I’m going to make. It’s almost more of a mentorship than a standard director/actor relationship. AE: Yeah. It really was for a long time. He is so generous and open to sharing that kind of insight and loves to do that and you don’t have that opportunity very often. Is there anyone else, for both of you, whose career you look at and say ‘That’s the trajectory I want. That’s how you do it.’? LC: Everyone probably says who I’ll say. Meryl Streep. For her it was always about longevity. Even at 26, you fall into ‘I’m so old. I should have achieved what I wanted to achieve by now. I’m old news. People are going to come up in front of me.’ She just gets better and better. Cate Blanchett. Judi Dench. Helen Mirren. Everything about them. Even their fashion choices. They’re so with it and cool and women I admire. They take chances. They’re chameleons. Everything that they do. They’re also amazing mothers. Getting to see that that is possible—have a big family and continue doing what you love and also love what you’re doing. It doesn’t always go hand in hand. I met Meryl once and I cried. AE: For me, I grew up watching all these old movies. Paul Newman made eight of my favorite movies. He chose a certain kind of movie I really identified with. It’s impossible to say Paul Newman though because what’s true now is not what was true then. The way they make films—the kind of stories that they tell now. Sometimes for the worse, but also for the better. Each time demands it’s own kind of film. What’s exciting to me now is the idea in participating in a landscape of moviemaking that’s completely different—the way you can make a movie with a 5D or something and what’s going to come out of that. Especially the generation under us who grew up with the internet. When they are making films in the next ten years, they’re gonna be so different from what we’ve seen before because their whole worldview is so different. I’m glad to be an actor to be employed by people who are now 12, probably. I look forward to that. I want to go back to the idea of collaboration for a second and how it plays into the career question. How important are collaborators when you’re picking a film? Who am I going to work with? Warren Beatty or the Coens. If Warren sends a script, do you have to read it? LC: I didn’t know what the script was about at all until the fifth time I met Warren. I was just soaking it in for what it was. Experience matters. At this point in what I’m doing, I love to test boundaries. I trust the filmmakers. For me, if I know that I’m with someone that has proven time and time again that they create work that is so different and that they can do what they say they can do and I’m going to have people around me that can challenge me, that’s how I view things now. This movie was making a ‘picture,’ not filming a ‘movie.’ And I don’t know if I’ll get to make a picture again. I want to make sure when I film another movie it’s as close to this experience as possible. When you trust and have elevated personnel in each department then the sky really is the limit. If you don’t have that trust in the backbone of the project, you may not know what you’re making. Alden, how about you? How important are collaborators to you? If the Coens send you another script, do you just say yes? AE: Yeah. Yeah. I think that it’s a director’s medium. That’s everything to me. Other things matter, but the thing I’m most interested in at this time in my career is learning from these kinds of filmmakers. And I’ve been super lucky to work with some of the best ever. It’s crazy. What I learned from that is that once you get through the curtain on the Wizard of Oz and make films with these people, the practical insight you get from them is so much more valuable than just the idea that you worked with this person or that person. You really see why they’re that person, and you become the beneficiary of that wisdom. That’s been the most nourishing thing to me from movie to movie.